Data centre infrastructure vendor Juniper Networks is to buy BTI Systems, a specialist developer of software-defined networking (SDN) tools and networking hardware. The acquisition was announced on Juniper’s website which gave no details of the terms of the deal. However, in a comparable takeover in 2012, Juniper paid $176 million when it bought SDN startup Contrail. 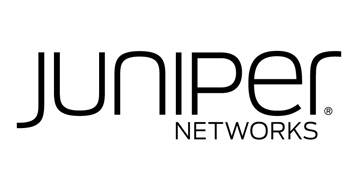 In its statement Juniper explained its need to speed up the delivery of open and automated packet optical transport systems, as demand for cloud services booms. Juniper’s General Manager of Development Jonathan Davidson said Juniper will integrate the new SDN tools with its NorthStar Controller and use the new network management features to create new end-to-end services. The move may affect cloud service providers as it gives owners of multiple data centres a new option for juggling huge volumes of data within their own data centre estate. BTI’s data centre and service provider clients include top tier operators such as Equinix, Interxion, Rackspace and VKontakte. It has a client base of 380 data centre operators and cloud service providers. Since BTI specializes in cloud and metro networking, in which large volumes of content are shifted between data centres concentrated in the same town or city, the new technology addition could position Juniper more favourably when tendering against Cisco and Arista. Ottowa based Canadian network BTI has previously raised $60 million in venture capital from backers including Bain Capital Ventures, Export Development Canada and Fujitsu Network Communications. The acquisition is subject to customary closing conditions and the expected date for transaction closure was given as ‘Q2 of this year’.